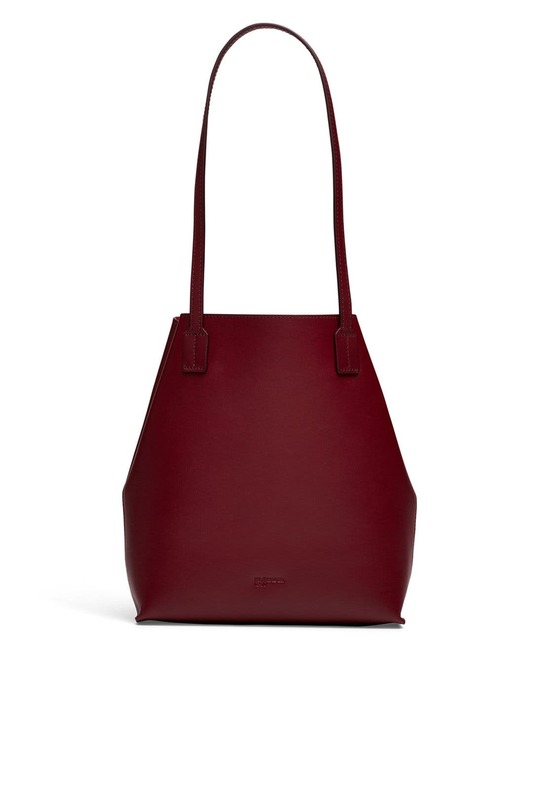 A sleek and minimal silhouette defines the everday ease of this Jil Sander Navy tote. 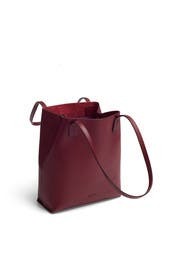 Dark red leather small soft tote with rolled top handles. Open top and interior along with zipper pouch. 12"H x 10"W x 3.5"D.
Date night - black and white dress with this pop of burgundy/red. Slightly smaller than anticipated; however still great size for a date night and fit everything. 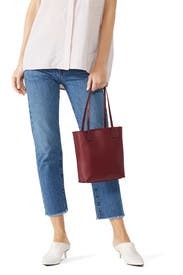 Adorable bag - smaller than I expected, but included a matching folio on a leash that I used instead of my regular makeup bag to put in a lipstick, roller and blotting papers. Fit well, but was a bit awkward for putting straps over the shoulder.